New:The Ednamair has finally been displayed at the National Maritime Museum in Falmouth. 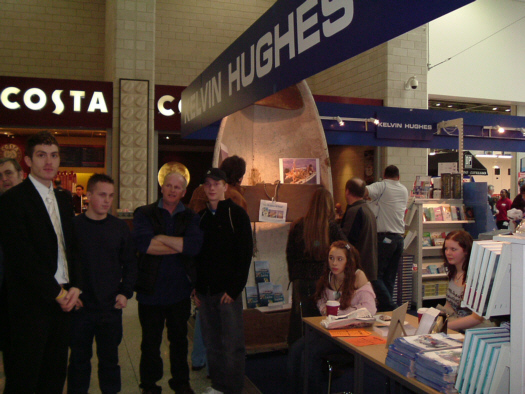 She is currently taking part in their Endurance and Survival Exibition . Some of us went down to the opening of the exhibition, but all of us including Aunty Edna who with Aunty Mary gave us the money to buy Ednamair will be visiting the museum this summer to see her displayed fully. We were filmed by the National Geographic for an ongoing series they are doing called 'Expeditions to the Edge'. 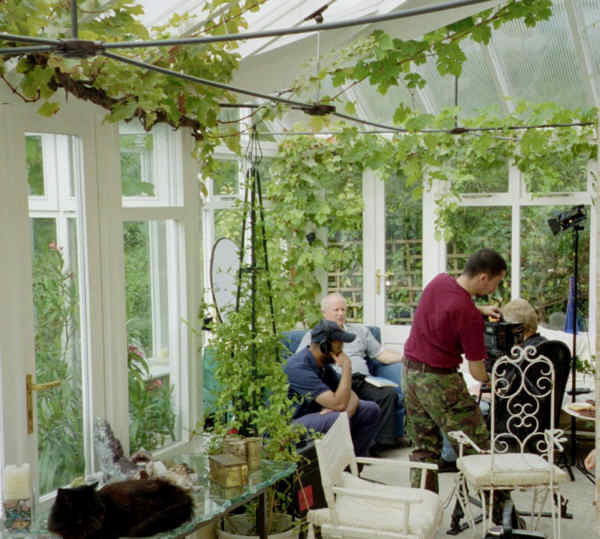 They take a true story dramatise it, then interview the real characters of the incident to get an inside view. It was aired on the National Geographic TV Channel. They were with us for two days interviewing each of us for approximately two hours . 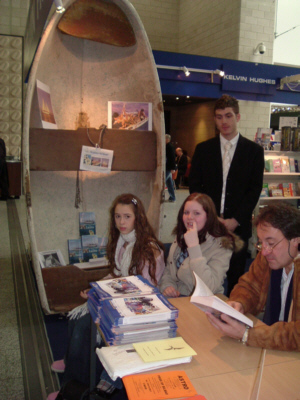 In the USA: - "Expeditions to the edge"
In the UK: "When Expeditions Go Wrong"
'The Last Voyage of the Lucette' is now finished and published. It is now in the shops. 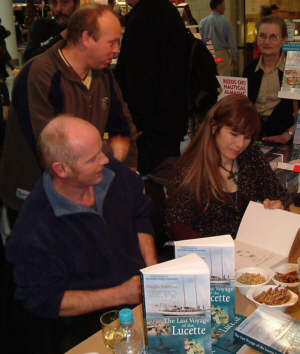 The book was officially launched at the 2005 Boat Show.We were signing copies on the Kelvin Hughes Book stand. 'Ednamair' was there ocupying centre stage. She has not been seen in public for over twenty years. She caused quite a stir and she has now taken her place in the National Maritime Museum in Falmouth. As we have come to accept, our family seems destined to experience life to it's full. We always seem to find our way from one bout of excitement to another. We thought that you may find some of our own news of interesting and have started by having a heading for each one of us.